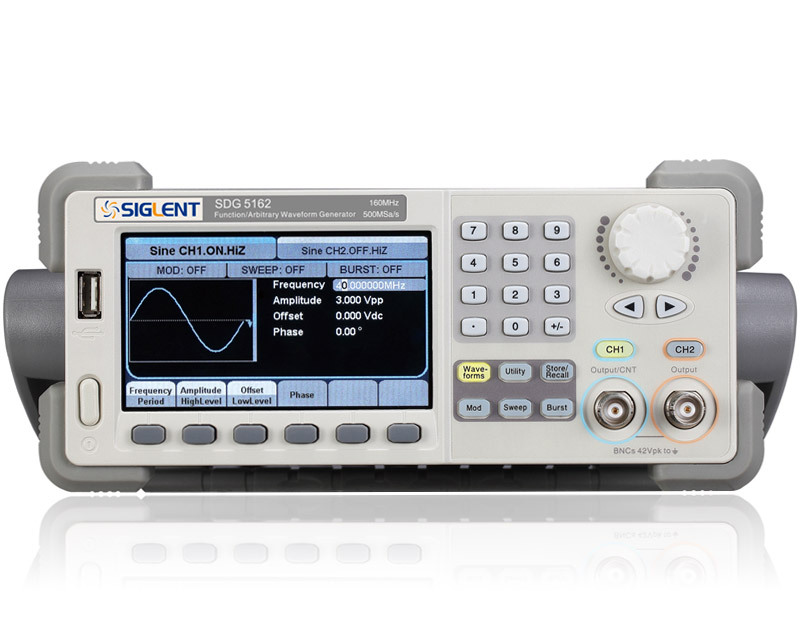 Siglent SDG5082 - Arbitrary waveform function generator with 2 output channels and 80 MHz max. output frequency. 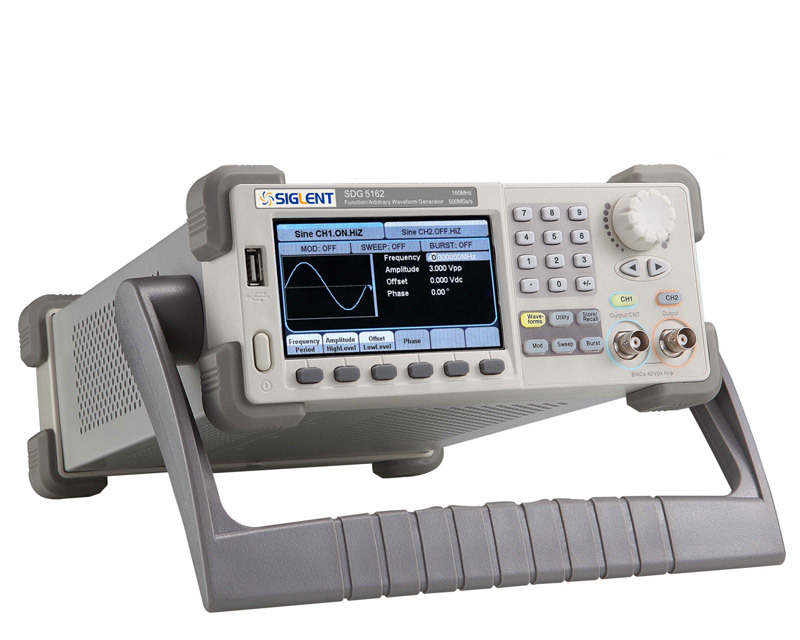 Siglent SDG5162 - Arbitrary waveform function generator with 2 output channels and 160 MHz max. output frequency. Siglent SDG5122 - Arbitrary waveform function generator with 2 output channels and 120 MHz max. output frequency.